Assessing Neuromotor Readiness for Learning is a substantially revised and expanded edition of a long established INPP training manual that has been consistently proven in practice. The package includes tests for children, a developmental movement programme, and information about online access to INPP video training materials. Places emphasis on children's physical development and how neuro-motor skills provide the foundations for learning success. 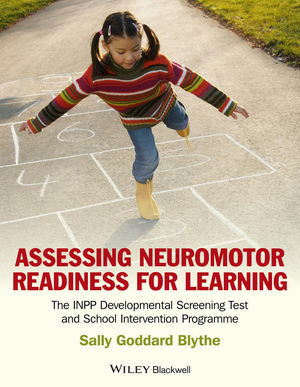 Sally Goddard Blythe is a Consultant in Neuro-Developmental Education and Director of The Institute for Neuro-Physiological Psychology (INPP). She is the author of several books and published papers on child development and neuro-developmental factors in specific learning difficulties, including, Reflexes, Learning and Behaviour (2002), The Well Balanced Child (2003), What Babies and Children Really Need (2008), Attention, Balance and Coordination - the A.B.C. of Learning Success (Wiley-Blackwell, 2009) and The Genius of Natural Childhood (2011).